Set in a desolate English port, Conrad’s spare, savage turn-of-the-century story of lives haunted by the sea. 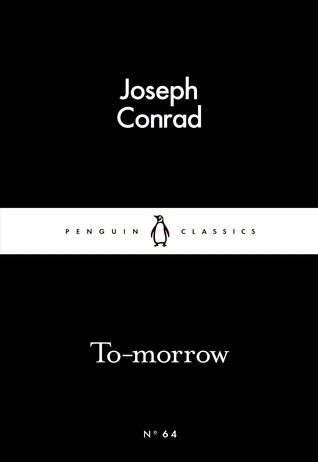 One of Conrad’s most powerful, gripping stories. This was such an unexpectedly gorgeous short story from the Heart of Darkness author. Focusing on an old sailor desperate to find his missing son, we see his preparations and plans for his ultimate return, with the old sailor always claiming this will happen “to-morrow”. This is a seemingly delusional hope, as his neighbours and the other villagers see him as a bit of a character, and can only humour his self-deception to avoid violent outbursts of indignation. I felt a warmth in my heart for the old man. His meticulous planning, collecting of household objects, consideration for what his son would say or how he would feel about certain particulars, showed a real love. Conrad creates this, I feel, in order to ensure the finale hits as hard as it possibly can. Without spoiling it, the ending is utterly heartbreaking, and really underlines the extent of the sailor’s delusion. It speaks of perception of people we haven’t seen in a long time, interpretation of memories, the holding of grudges, and more typical family behaviour. Most of all, it speaks of routine, and how letting go, whether knowingly or not, is a difficult thing to do. A crushing tale on waiting, and being unable to live until our dreams fulfil, this was an absolute little diamond from Conrad.